TakeShape supports a 1-click Netlify integration through Netlify's OAuth service. First you'll want to make sure you're logged into your Netlify account. Next go to Project Settings>Integrations and click Link. If everything worked then you'll see your Netlify profile information. 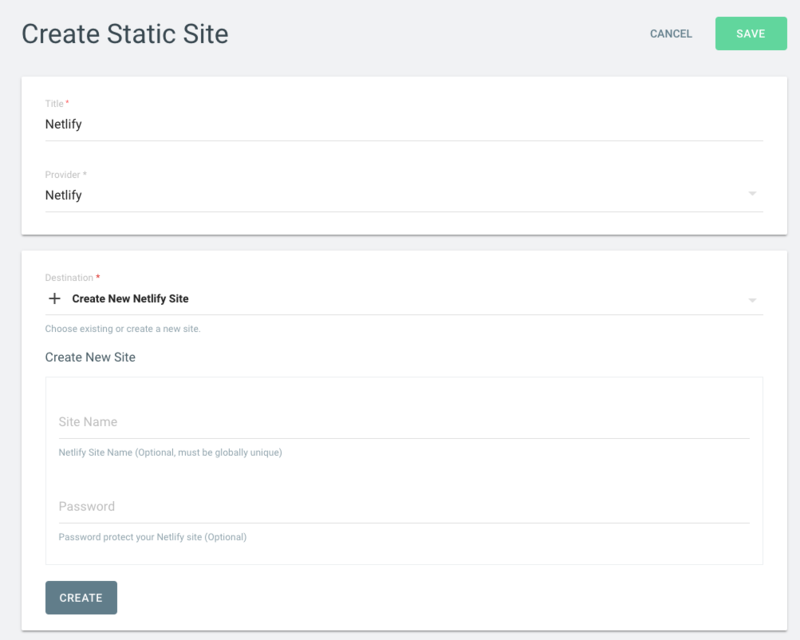 You can now add a Static Site. Go to Static Sites>New Static Site. Name the site however you like and then select "Netlify" from the "Provider" dropdown. 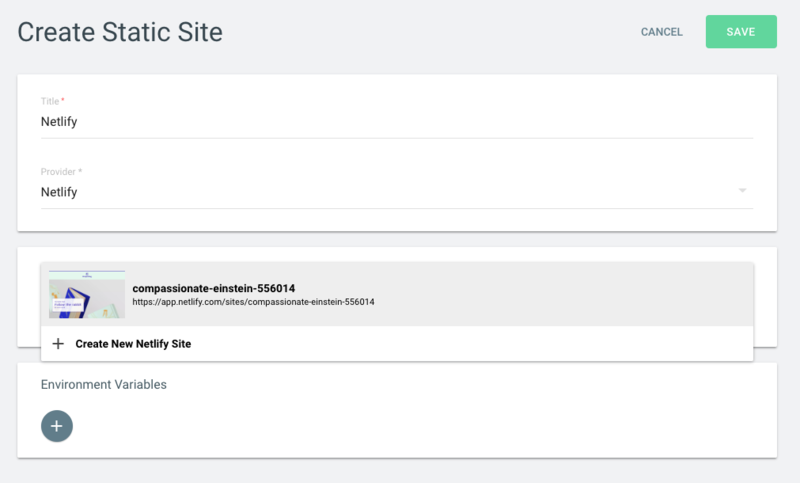 If you already have a site configured on Netlify you can select it from the dropdown. Otherwise you can create a new site on Netlify from within TakeShape. The "Site Name" must be globally unique on Netlify's system so you'll want to use a name that's unique to your project. 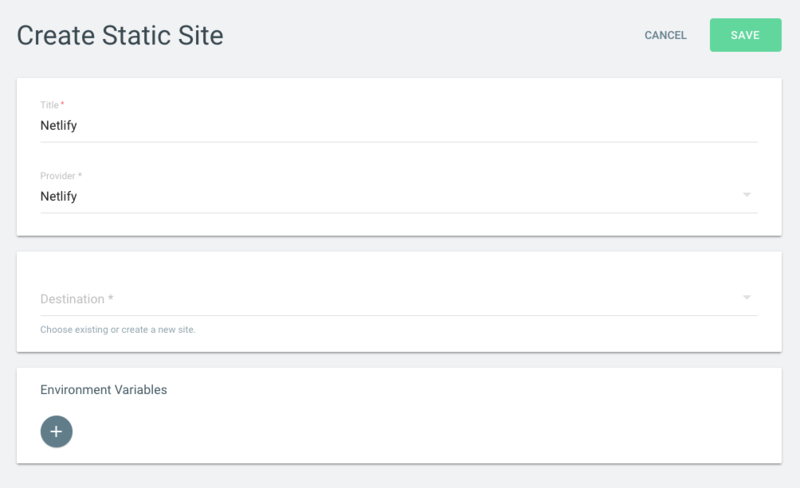 You can also optionally leave the "Site Name" field blank and Netlify will automatically generate a name for you. You'll be able to change this name later by going to your Netlify dashboard. 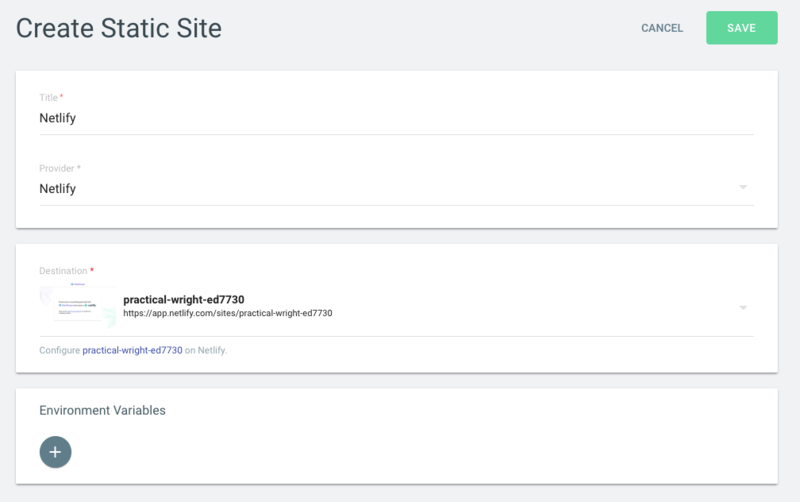 Changing the name on Netlify won't affect your static site on TakeShape. You can optionally assign a "Password' to your static site. Netlify allows you to password protect a site if you so wish. You can Save the configuration and then from your command line tsg init your project and tsg deploy up to the newly created static site.